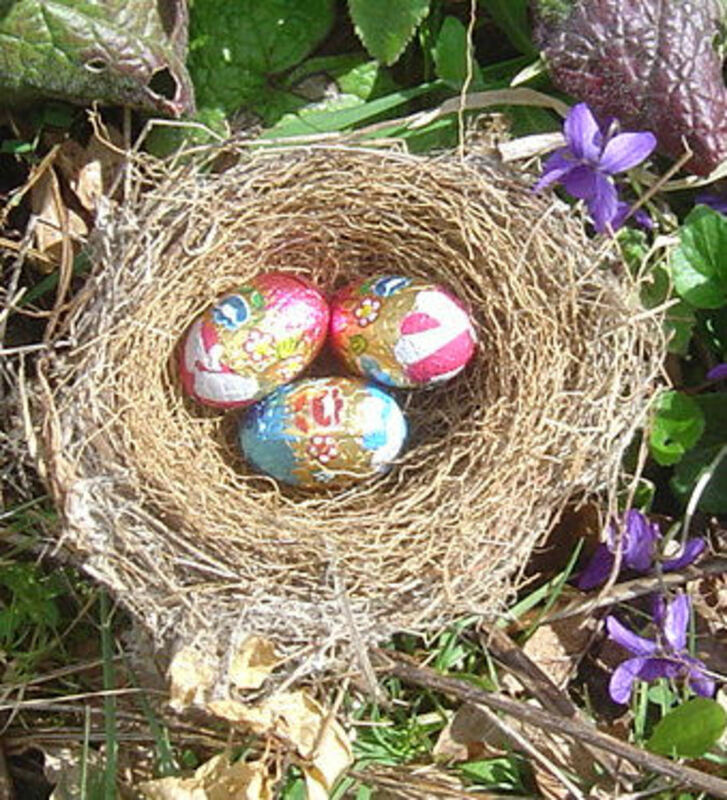 It is often believed that the beauty of Easter lies in the Easter eggs. These are also called as Paschal eggs. These eggs too form a part of Christian tradition and culture. In the past, dyed and painted chicken eggs were used but now with technology one can have various types of easter eggs like- wooden eggs or plastic eggs. These are filled with chocolates, jelly beans and thus loved by all. These eggs have a great symbolic meaning in Christianity. They signify the empty tomb of Jesus where the egg is the stone of the tomb. It also implies that Jesus will rise again from the tomb and come back to life. 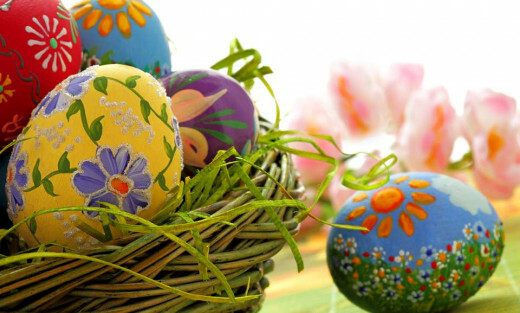 In this post, have a look at some of the beautiful Easter eggs and Egg Ornaments which will make a perfect home decoration for your Easter Celebration. The practice of decorating with Easter eggs goes back to historic era and it was prevalent in pre dating Christian traditions too. At that time, ostrich eggs were used for decoration purposes and were painted in golden and silver color. 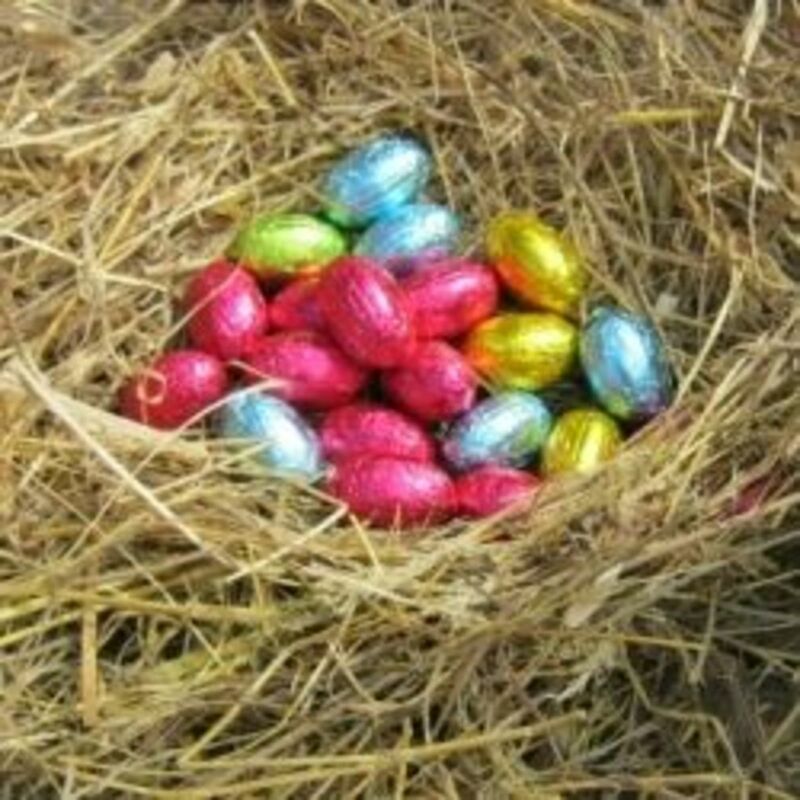 These eggs were to be hidden for children on the Easter morning who used to then find them. The practice continues even till this day. In Medieval Europe, eating eggs was forbidden during the month of Lent. Thus, eggs became a mainstay meal of Easter and a prized Easter gift for little children too. Interestingly, these eggs also are symbolic of new life and fertility and this is so true of Mother Earth which comes back to life in spring season after long cold winter months. Different traditions have been prevalent with regard to these eggs in different parts of the world. In fact various Easter egg games too are quite popular which the children love to play. In Middle East and Greece, these eggs are painted red to symbolize the blood of Christ. Germans used to hang hollow eggs on the trees and on Holy Thursday gave green eggs as gifts. In Poland and Ukraine these eggs were painted in gold and silver. 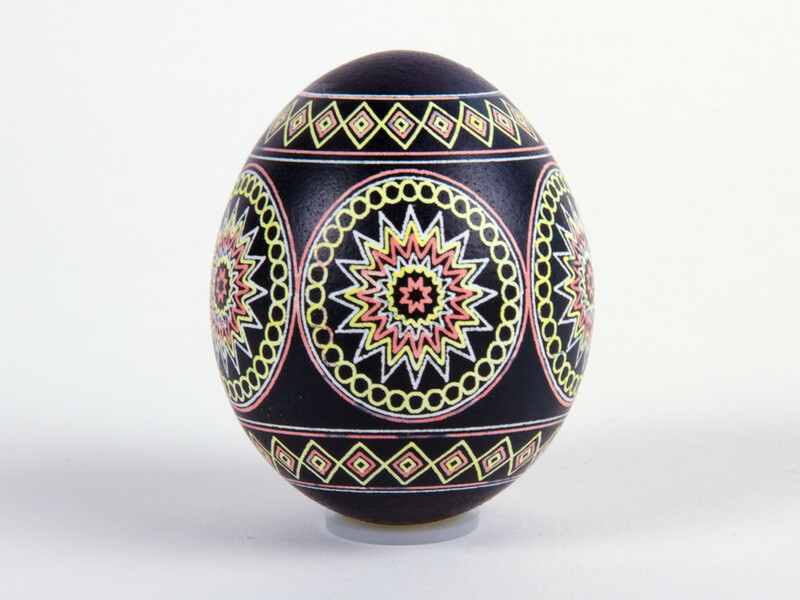 Pysanky Eggs were popular in Ukraine which was created by applying wax in patterns to an egg. These were bright and multi colored eggs of different shades. In Romania, Bulgaria, Poland and Various Central European Countries these eggs are said to be symbol of new life. In US, Easter egg roll is a fun and entertaining event which is held on the lawns of the White House. In the same way is the Easter Egg Hunt where the search is for the eggs and the one who finds the largest number of eggs is declared as the winner. Though most of you would love to create your own set of easter eggs but if due to paucity of time you are unable to make them, then don’t worry since online too you can find some of the most beautiful and amazing kind of easter eggs. These could be plastic easter eggs, vintage easter eggs, wooden eggs etc. You can pick up the one depending upon your needs. 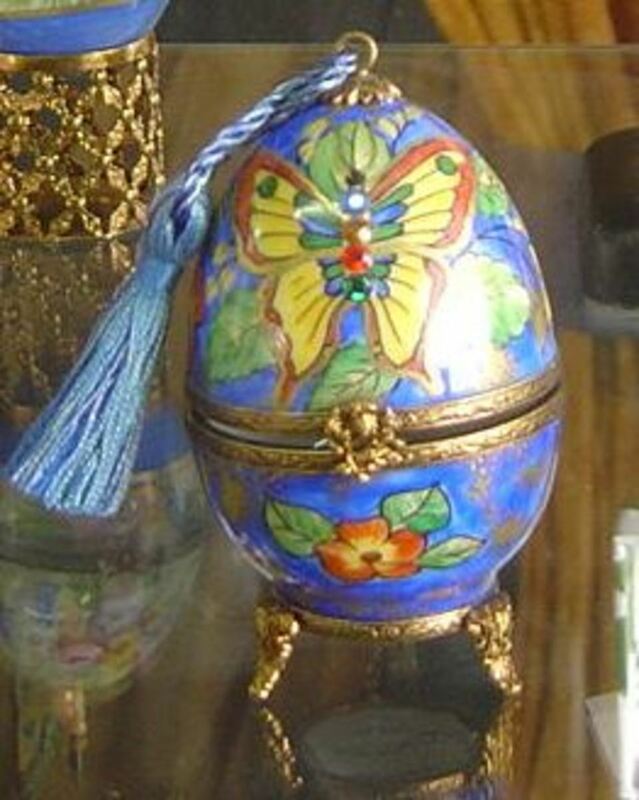 Historically one of the most popular gifts on Easter was hand painted eggs which were given by families to their friends. These were meant to protect the family from misfortunes and hence a bowl of these eggs was kept in the house. Now these have become a part of tradition. 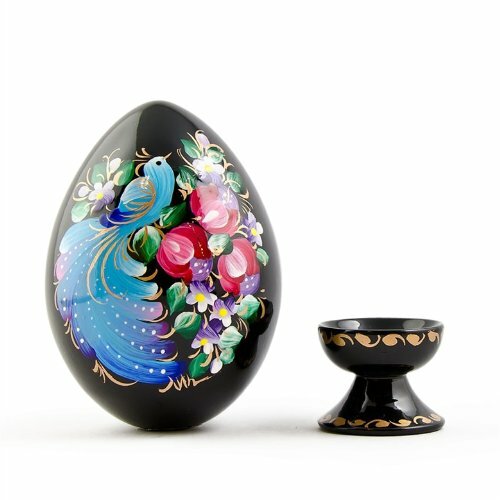 These beautiful Ukrainian easter eggs are handpainted wooden eggs which will make a great gift too. These will surely add beauty and color to your celebrations. You can keep these in a gift basket and present it to your friends. You will make your holidays vibrant and stunning with these amazing multicolored egg ornaments. You can hang these anywhere in your home and they will look just perfect. These are made from glass and have a see through design, along with this they have a metal top which helps in hanging the ribbon. These egg ornaments look simply perfect as the spring gift. These are definitely going to bring out the amazing colors of the spring and thereby make your Easter celebrations worth it. These are set of 6 Easter eggs, are quite lightweight since they are covered with yarn. The various soft colors add beauty to these ornaments. 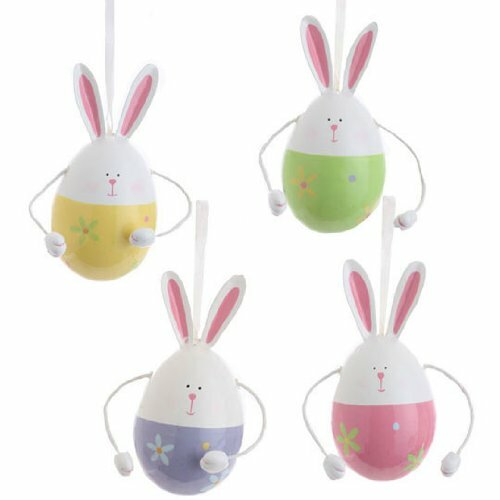 RAZ Imports - Easter Bunny Egg Ornaments 4"
Easter Bunny Egg Ornaments 4"
I just loved these one, aren’t they cute? With these egg ornaments, your house will get a new festive look. The bunnies look super sweet and these are ready to hang anywhere in your house. These are certainly going to be a hot favorite of the kids who would adore them. You will surely appreciate the beautiful artistry on these Easter eggs which are hand painted. They have colorful little flowers designed on each of the eggs, thus they can be said to be in true spirit of the spring season. Ukrainian easter egg is hand painted and would make a great home decoration. You can even gift it to your friends who would find them beautiful. What gives this egg beauty is the beautiful bird which is surrounded by a bouquet of flowers. This would certainly add elegance to your dining table or anywhere you prefer to keep this decoration. The black background and the striking colors used in the painting makes it simply amazing to look at. Wow Young Hopes very beautiful pics . Loved it. Voting it up and useful. Nice collection of ideas !! Good one Shadaan !! Decorative Easter Eggs for Home Décor and Gifts looks stunning and such a wonderful idea. Shadaan, we use different techniques. A very easy one is to cook onions in a pot of water and then put the eggs in it which will turn them red. You can also use other coloring foods like red beet or spices like turmeric which will make your eggs turn yellow. You can experiment with different foods, herbs and spices. Another technique we use is painting the eggs with wax crayons which you make soft by holding them over a candle. When the wax of the crayon melts you can start to spread the wax all over the egg. Finally, you hold the egg over the candle and let the wax melt again, then turn the egg around while holding it over the candle flame so that the colors start to flow into one another. This will give a nice coloration. There are plenty of other techniques but then I have to create a hub. Maybe I should do it. Oh, it´s almost Easter again! Thanks for reminding me. I´m fond of making and decorating Easter eggs. I inherited this tradition from my German in-laws. Thanks for sharing this very informative hub. I love the Easter eggs you presented. Beautiful! That's pretty interesting Janet, and how do you decorate the eggs? It would be real fun. 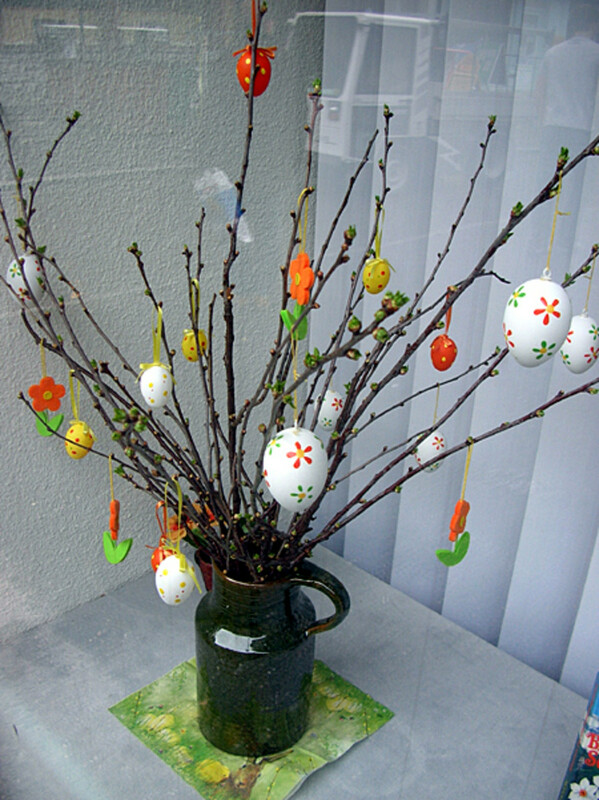 We traditionally celebrate Easter here in Germany. Decorating eggs is so much fun. 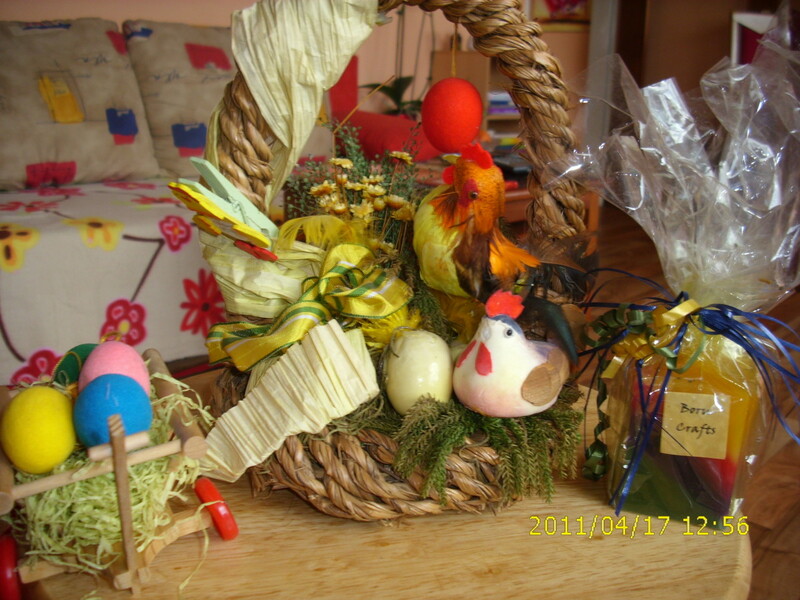 The decorative eggs you chose are beautiful, especially the Ukrainian ones. A very well-presented, informative hub! These are beautiful. You picked some nice decorative eggs to feature.